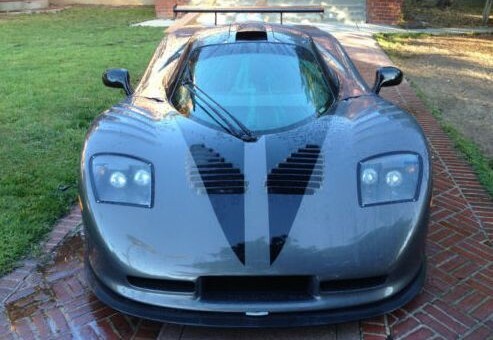 If you don’t have a clue what a Mosler is, that’s fine – Mosler cars are not something you’ll see every day – or any day for that matter. All you need to know is that they contain a very important GM-related ingredient, the engine. They once started off with an LS-based small block, and added thousands of man hours to it, a pair of 91mm turbos, and some other bits. The result? 4,000+ horsepower(!!!1!1!!? ), according to the listing. That sounds a bit high to us, but even half of that would be insanity. In speaking of insanity, you might have to be off your rocker to purchase this car not only for power reasons, but considering the price. A would-be buyer’s bank account will be 7.5 million dollars lighter after the purchase. And no, that’s not a typo. Again, $7,500,000. It runs on race gas, water/meth, natural gas, hydrogen, nitrous, and small woodland creatures. All things considered, it’s pretty green for a supercar. It will rev out to 10,500rpm, if you can survive it. It has an Apple computer of some kind onboard, and a much needed fire suppression system. Everyone will ask you what in the hell you are driving, and if it’s fast. There is an adjustable power control system, in case you need to adjust the power for hoonage. If that doesn’t have you falling down, take a look at the listing here. Once you’ve done that (and changed your pants), tell us in the comments if you would buy one. We sure would. Who wants to do an article in my car ?